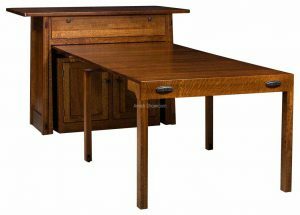 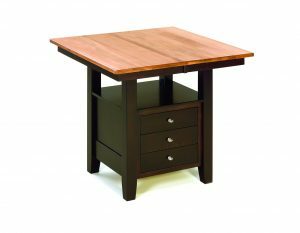 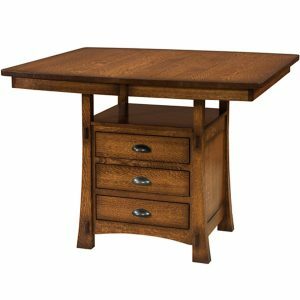 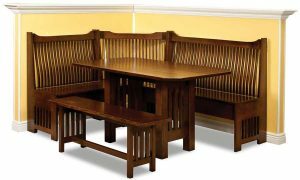 If you are looking for a solid wood specialty dining table Amish showroom can help. 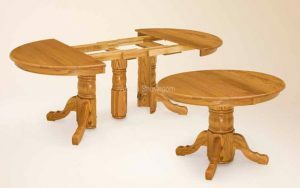 Our solid hardwood American-made dining tables can be stain to suit your needs and customized upon request. 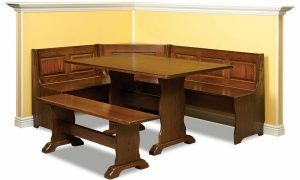 We have matching dining chairs for most of the tables found in this section. 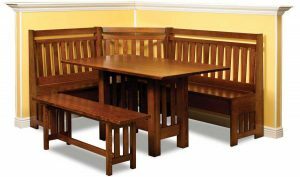 Minnesota Amish furniture can be found in our Coates store location. 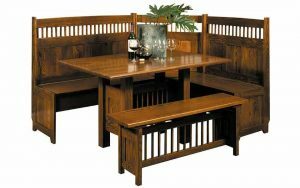 Our Team is able to assist you in custom design your Nook Dining Set. 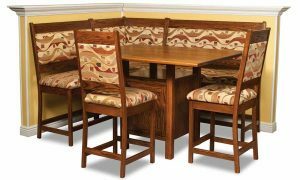 Please call us for more details today!